One of the benefits of traveling is the opportunity to shop and experience regional or local businesses. When I visit Florida, my favorite supermarket is Publix, which is based in Lakeland Florida. Publix has over 1,000 store in five Southeastern states. They have done a good job focusing on one region of the country. Publix is the largest employee owned supermarket in the United States. Sales revenue exceeds $27 Billion. They have over 156,000 employees. One of Publix strengths is that it is a great place to work and that they take care of their employees. This translates to a great shopping experience. They have earned their tagline “Where Shopping is a Pleasure”. Publix goal is to be the premier quality food retailer in the United States. They are driven by strong core values. Involved as a Responsible Citizens in our Communities. This focus on the customer and balancing the needs of their stakeholders (customers, shareholders, employees, communities) has delivered impressive results. Publix is the number one supermarket in the American Customer Satisfaction Index. They have won that honor every year since 1995. 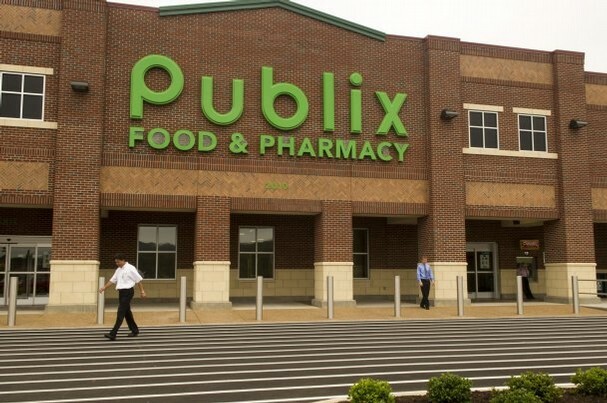 Publix has made the Fortune list of the best 100 companies to work for every year since 1998. Publix has a low full-time turnover of 3.2% an unheard of number in the grocery industry. They were also recognized by Glassdoor as one of the Top 50 places to work in 2010 and 2011. It’s a simple formula treat employees well and they will treat your customers well. Have you ever shopped at a Publix store and how was your experience? We have definitely enjoyed frequenting Publix when traveling in Florida. Seems well-run, but hard to notice anything deeper than that from a visit.